Aluminum replacement windows offers many benefits to homeowners; strength, price and versatility being the main advantages. Here are some of the benefits to consider so you can decide if these window frames are a good choice for your home. 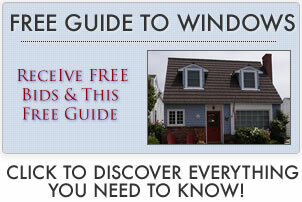 There are numerous options available to you as a homeowner if you select aluminum windows. Due to the strength of these windows, you have the ability to design large or interesting shapes. Many homeowners opt for arched windows in the front of their home and this frame is perfect for this. If you don’t like the look of aluminum inside your home, you can select aluminum clad windows instead. This uses aluminum on the exterior, offering all of the benefits without the metallic look on the inside of your home. The interior is trimmed in wood to provide the aesthetic benefits inside your home. Aluminum clad windows are more expensive than their solid counterpart, but provide the best of both worlds. Find more detailed pricing breakdowns on aluminum windows prices. Aluminum replacements are more than 40 times stronger than wood windows, and are even triple the strength of vinyl. This is a helpful feature in areas that are prone to intense wind speeds or severe weather. It also makes aluminum a great choice for larger sized windows because the strength of the frame can handle large expanses of glass. Aluminum replacement windows will not split, crack, shrink or swell like other types of windows can. They are also resistant to rust and are not prone to water or insect damage. In addition, they will last you for years and years, making them not only a less expensive up-front purchase than other window types, but a good long term investment. There is far less maintenance involved if you own aluminum as compared to wood windows. No need for painting, staining or sealing. No worries about insect or water damage. Just an occasional cleaning off with a hose should suffice. You’ll also have to periodically check the weather-stripping and other features to maintain energy efficiency, but that’s about it. This window frame has traditionally gotten a bad rap for being a bit of an eyesore with their plain and bland look. However, newer ones can be manufactured in almost any color and can easily blend in well with the exterior décor of your home. Another benefit to aluminum is that these windows allow you to install a large or interestingly shaped window that can become a focal point of your entire home. Since the frame can withstand just about any size or shaped window, the design possibilities are endless. Aluminum replacement windows are better at reducing the amount of noise that travels through the windows than vinyl or wood windows are. Depending on where you live, the noise abatement features of aluminum may factor into your decision of window type. One drawback to aluminum is that it is known to be an excellent conductor of heat and cold. This can mean less energy efficient windows than other types. However, there are thermal treatments that can be added to the windows to make the windows more efficient. If energy efficiency is your primary concern when choosing windows, then aluminum windows may not be the window for you. But if you are also willing to consider other factors in addition to energy efficiency, then aluminum windows are definitely worth a second look!